This practical book will explains nutrition research with straightforward directions and examples to assist practitioners in performing outcomes research and cost benefits analysis in clinical practice. Guidelines for planning, organizing, conducting, and communicating research project findings are also included. Practice-Oriented Nutrition Research, with its multidisciplinary approach, has case studies of research efforts led by dietitians, nurses, pharmacists, and physicians. 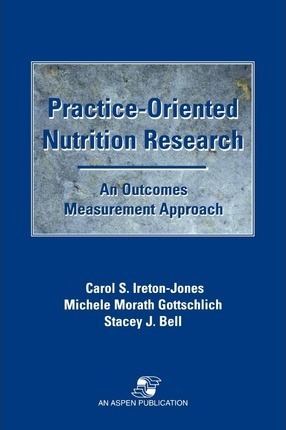 The text is appropriate for graduate and undergraduate nutrition research courses in any health care field, or for any nutrition specialist involved with outcomes research and analysis.